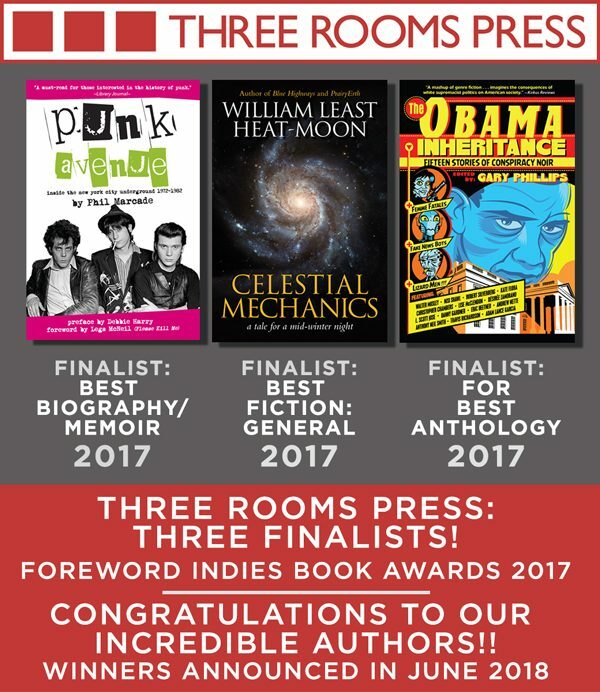 Three Rooms Press is thrilled to announce that three of its 2017 releases have been tapped as Finalists for the 2017 Foreword Indies Book Awards, in three categories. The prestigious annual awards highlight books from university and independent publishers. Winners are selected by a panel of more than 120 librarians and booksellers from throughout the U.S. This year, more than 2,000 entries spread across 68 genres were submitted for consideration. Winners in each genre will be announced June 15, 2018. Congratulations to these fine authors and congratulations to Three Rooms Press — this is quite an honor!